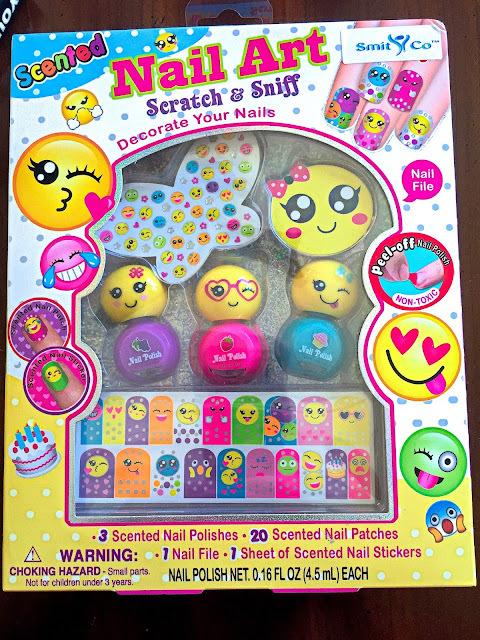 If you are looking for adorable gifts for girls ages 2-12 Smitco is a company that has some girl, fun, trendy things that girls will love like the Emoji nail kit above. 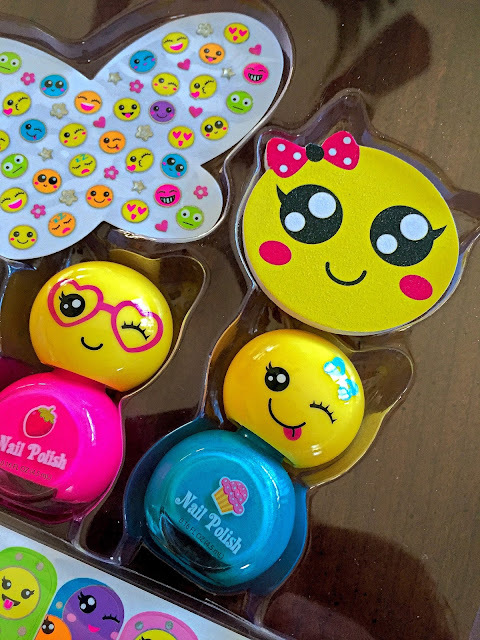 The colorful kit comes with three scented nail polishes with cute Emoji face tops, scented nail covers, scented accent stickers, and a smiling emoji nail file. The set is really cute. My daughter had trouble getting the nail cover patches on her nails because they are so much longer than her nail. 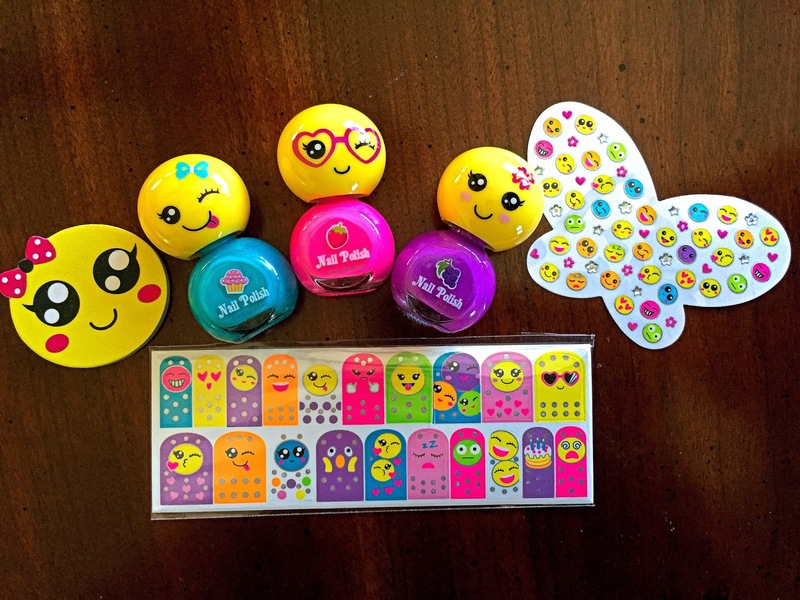 She had to cut them but she loves the little Emoji covers on the polish and the tiny stickers. 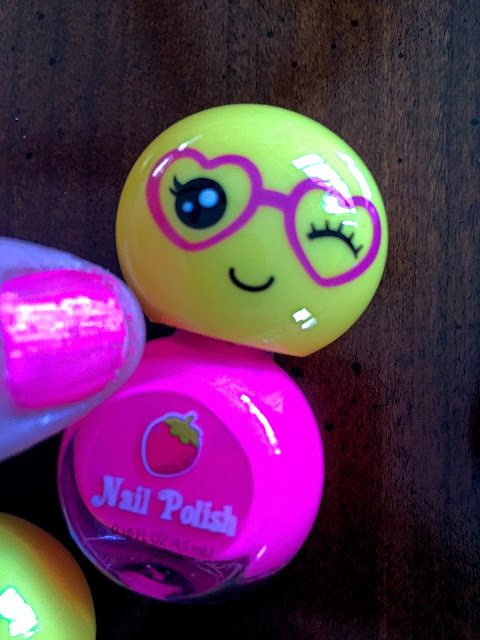 The polish has good coverage for one coat and when it is time to remove the polish it just peels right off. Last night I noticed she had picked off all her polish but was wearing the stickers. They are cute. 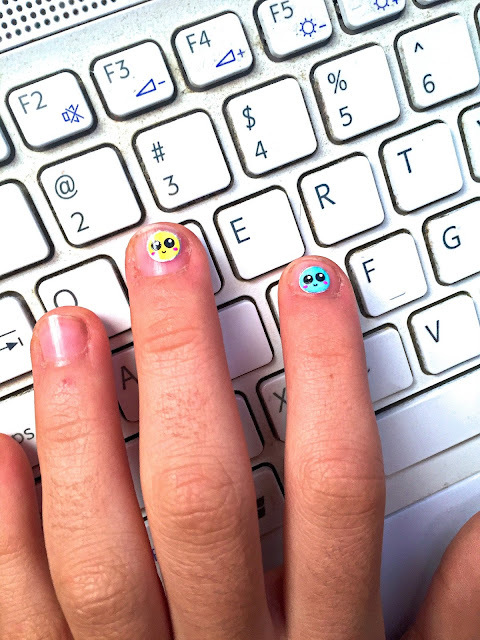 I may have to steal one or two for myself.